Online Banner Ads: What Makes The Good Ones Work? Online banner ads can be effective when thoughtfully put together. But there are certain guidelines that good online banner ads have to adhere to. Lets take a look at some good examples and why/how they work. 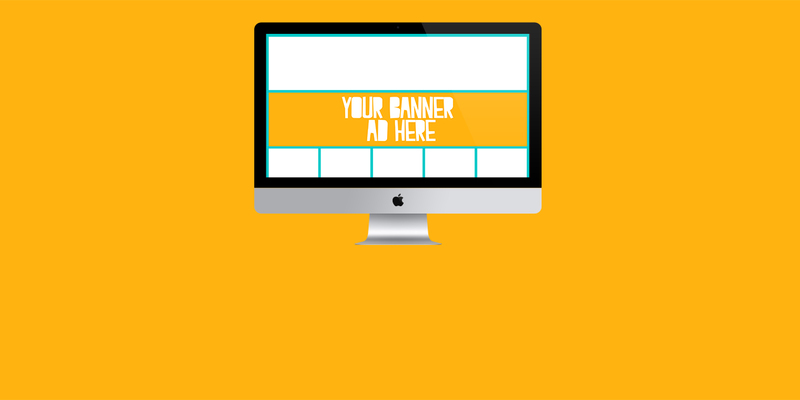 Good Online Banner Ads: The Basic Rules. Ads like this usually work off of the understanding of the three following requirements: A proposition (Or value proposition), a call to action, and a logo/brand identity. A really cool interactive element in this one, to tie in with Met Life’s “I Can Do This’ campaign. They invited the user to help Schroeder play the piano by staying within the allotted tempo zone when playing your own keyboard. The faster you type, the higher up into the tempo zone you go. Likewise, the tempo lags when you ‘play’ slower. It compounds the message that yes, even you can do this; that you can play the piano if you set your mind to it. It works well as the initial proposition is to engage with Schroeder. As it is an interactive banner, the proposition is an enticing one. One that would definitely grab a viewer’s attention. The call to action is then to believe that anyone can do anything when they put their mind down to it. Its an intriguing use of a well-known and loved cartoon character to make people think differently about the message they are conveying. The brand and identity is featured prominently, as when we finish ‘playing’, the Metlife logos along with their “I Can Do This” message features on the right hand side of the banner. Overall, well done. Stride’s Long Lasting Banner Ad. A wickedly brilliant foray into the interactive sphere with this ad campaign by Stride. To compound their assertion that their gum “lasts longest”, they decided to make the longest-lasting banner ad. How does it get to be so long? Well, its all down to user-interaction. Its your mission (if you will), to hold your cursor icon on the red dot featured in the ad. The longer you do it, the longest the ad lasts. The winner for longest time held received $500, and was won with a record of 67 MINUTES. Sheesh. I mean, the average for online banner ads being well under a minute, thats something else. Plus the red dot moved sporadically and the ad featured loads of ‘distractions’ (cat videos, etc.) The proposition was impossible to resist, with people even actively searching for the ad on search engines after the campaign. The message was reinforced that Stride’s gum lasted longest, and their brand features prominently throughout. Online banner ads need to be as clever as this to succeed, as this one won a ‘Webby Award’ and enjoyed a superior click-through rate, compared to most other banner ads. A brilliant syncing of Facebook and Google+ accounts by Cadbury for this online campaign. Utilising the news that they had reached 1,000,000 followers on Facebook, they strove to further their engagement with ‘fans,’ by running this interactive initiative. Actual engagement with them on Facebook at the time was at about 15%. This was worrying to them so they set out constructing a big giant thumb made with Cadbury’s chocolate. The actual building of the thumb was controlled by the viewer. They could send messages of support, engage with other viewers and have their own pieces of chocolate placed into the thumb. Cadbury put the viewer in the driving seat when the thumb was being made, which was genius. To be able to interact with the ‘makers’, get them to do quirky actions, communicate with other viewers, it hit the spot. The message enforced was that Cadbury as a brand can reinforce an idea of community; Something they felt was lacking regarding Facebook interaction. The Cadbury’s brand and signature deep purple colour pervaded the whole event. You couldn’t have mistaken it for any other confectionery brand. A perfect example for engaging online banner ads.